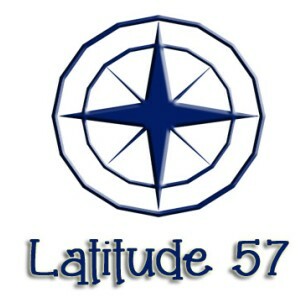 Latitude 57 is a gift shop established in 2015 featuring local hand-made art and crafts with a nautical flair. Owned and operated by Rob and Meredith Adam in the picturesque village of Badachro, Wester Ross, 7 miles south of Gairloch, and just 3 miles off the North Coast 500 route, this small gem is open from February through December. We strive to promote the best of Highland artisans with a wide variety of bespoke items such as driftwood sculptures, local photography and art, hand-made soaps, bags, knitwear and tweed products as well as jewellery and a great selection of cards and nautical gifts. Latitude 57 also sells ice cream, which can be enjoyed on the south-facing decking outside the shop.